It's gobble gobble time of the year! On Saturday, we decided to go shopping for our Thanksgiving dinner. The town shop, usually dead, was busier than usual. There was a lot of frozen Turkey at the freezer section. 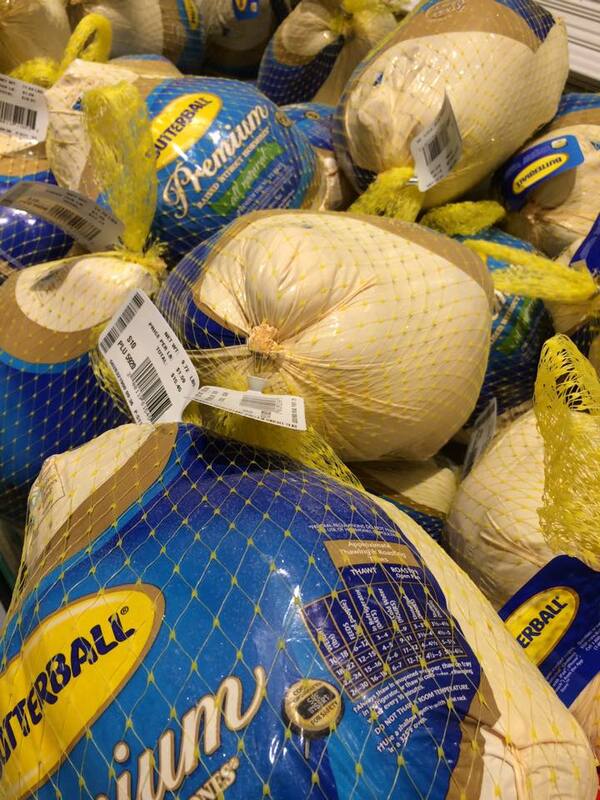 If majority of the shoppers were rummaging for the biggest bird, we were the opposite. Since there won't be many people eating the Turkey at home, we wanted a small one. The smallest one we could find was 10 lbs. That is still too big! We got a Butterball, and this will be Kepi's first time cooking a full bird at home. We've usually spent our Thanksgivings in Atlantic City. This year, we'll be celebrating at home. 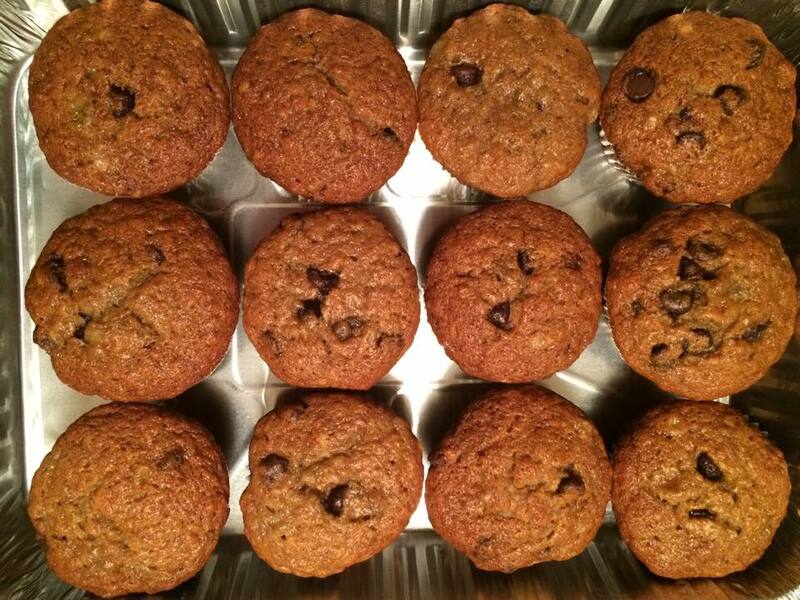 I sold my first batch of Chocolate Chip Banana muffins. I have a couple more recipes I'm working on, and I'm excited. 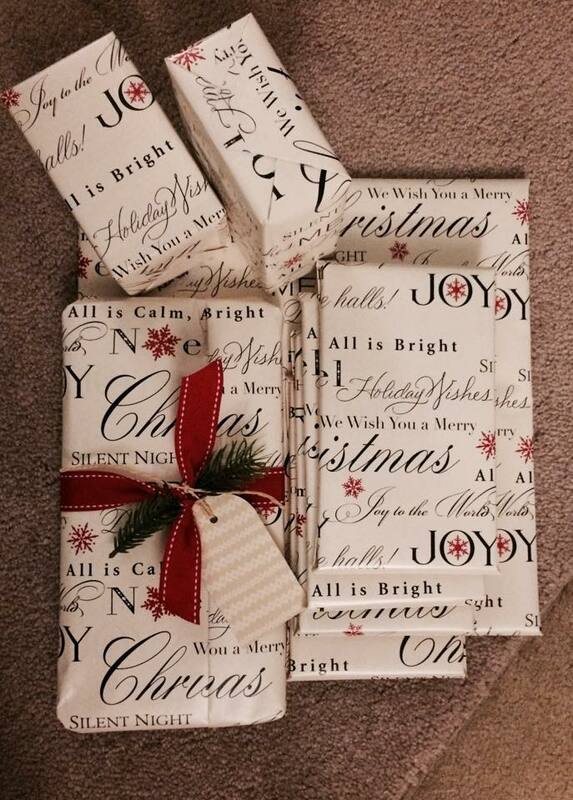 Yes, I have started my Christmas shopping and some are already wrapped. Some of these will be traveling via mail. A beautiful Thanksgiving to all! The very best Thanksgiving to you and Kepi. I'm lucky to have a husband who enjoys cooking. So for the most part my role is to clean the house, chop, dice, slice the veggies, and clean up afterwards. We don't do family Thanksgiving so we're pretty much free to do as we please. In the past we invite those who have nowhere to go. Similarly this year, a friend asked about our plans and we told him we want him to join us if he's free. So he and his family of four will be there with us. Hubby is deep frying the turkey. It's better this way for us, faster to cook and taste better IMO. Oh I want to taste the difference between deep fried and the oven roasted one. I love to cook, but I'm not confident about cooking Turkey. Kepi's better with this dish, so I'll let him have the kitchen. Happy Thanksgiving to you and your hubby! Happy Thanksgiving to you. I hope we will all find the time to stop and count our blessings. Happy Thanksgiving, Loree! Yes, we'll definitely find the time for gratitude. Happy Thanksgiving..awan lang ti turkey mi hehehe. Happy Thanksgiving as well! Mabalin uray anya...basta we're thankful every day. Everything looks so nice! Hope your Thanksgiving was wonderful! Hi Linda, Thank you for visiting.